AluMaxTM high temperature, heat resistant poly-layered aluminized PET coated fabric reflects radiant heat and is the perfect protection for covering equipment that is in close proximity to intense radiant sources such as super-hot metal slabs, liquid and molten metals or glass, open flame/plasma or engine exhaust manifolds. Excellent long term flexibility for use in garments, with or without liner materials. 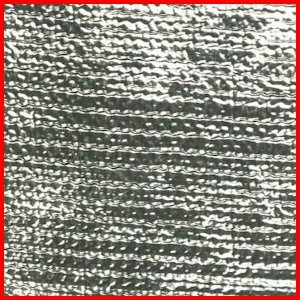 Textrized woven substrate: 12.5, 22 and 26 oz/sq/yd.